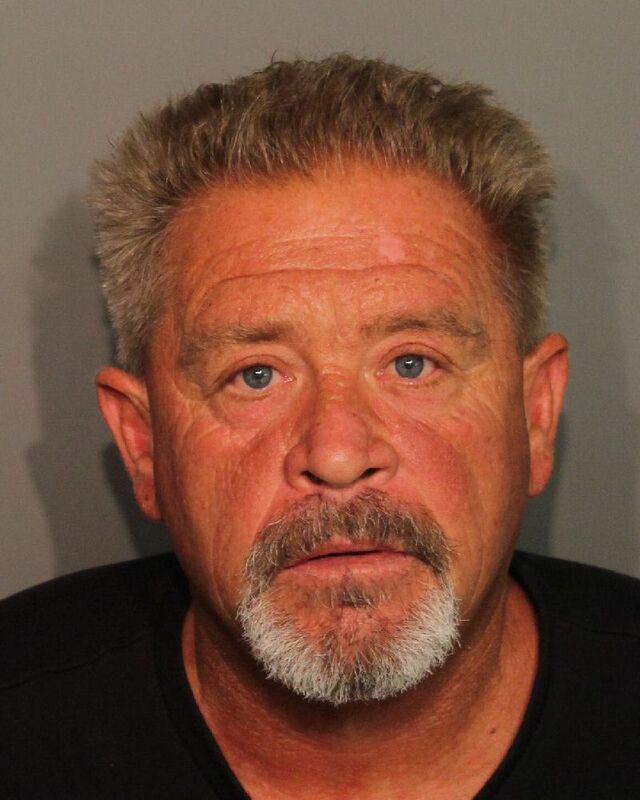 A motion was filed in Calaveras County Superior court on Dec. 26 that seeks to alter the guidelines surrounding the case of man accused of striking two women with his boat while under the influence of a controlled substance last year. Dean Allen Payne, 53, of Copperopolis, is awaiting trial for allegedly striking and injuring two women with his boat in the waters of Lake Tulloch on July 24, 2016, while under the influence of a controlled substance. Robin Tsai and Rachael Pringle, the two victims in the case, fell into comas due to injuries sustained during the incident. The first item on the motion requested that the jury be allowed to inspect the boat that Payne was allegedly controlling during the collision. According to the motion, the boat is currently being held at the Calaveras County Sheriff’s Office, adjacent to the courthouse. “The best way to demonstrate the size and nature of the defendant’s vessel is to let the jurors look at it,” the motion reads. The second item in the motion sought to admit photographs of the victims before and after the date of the alleged offenses. “Similarly, the photographs in this case, while highly relevant, depict severe trauma to the human body,” the motion said. The photographs, according to the motion, are relevant to each count following Payne’s not guilty plea. “While the people anticipate introducing testimony by medical doctors describing the injuries, the photographs will aid the jury in understanding that testimony, and corroborating evidence, should not be excluded as cumulative,” the motion reads. The motion also seeks to limit the use of the word “accident.” According to the motion, the word accident carries various connotations and opens the door for “misuse” by the defense and the jury. Accident, per the motion, can be used in two different ways: to infer a “state of mind” and to infer an “event.” The motion seeks to keep the term accident close to the “event” definition, and not the “state of mind” of the person who allegedly committed the crime. “Jurors, upon hearing the word ‘accident’ will no doubt conjure up ideations congruent with the lay definition of accident. Even if prior to deliberations the court instructs the jury that ‘accident’ means something very different in the eyes of the law, the people will have already suffered undue prejudice,” the motion reads. The prosecution is also attempting to bar the testimony of defense expert Michael Braun unless a report or statement is issued. The motion also said that if the defense fails to comply with the discovery obligations, the defense should be barred from calling Braun as a witness. The final two portions of the motion involve prior convictions for driving under the influence. According to the motion, Payne’s prior convictions should be allowed to be admitted as evidence. Payne was previously convicted for driving under the influence on O’Byrnes Ferry Road. Payne is currently scheduled to return to court on Jan. 9 for a trial readiness conference before returning to court on Jan. 16 for a trial confirmation conference. According to court records, a 10-day jury trial is expected to begin on Jan. 17 at 8:30 a.m. In the state court’s opinion, President Judge Emeritus Correale F. Stevens rejected Corbett’s claim that the county judge prevented his lawyer from asking a relevant question during his nonjury trial. Corbett fell afoul of the law by failing to signal while making a turn on Nov. 16, 2015. Trooper Peter Minko pulled him over and claimed he noticed a strong odor of marijuana coming from Corbett’s car. Although Corbett registered no alcohol intoxication from a breath test, he failed field sobriety testing, and showed visible signs of intoxication, including bloodshot eyes and “a green tongue consistent with recent marijuana use,” the trooper said. During Corbett’s trial before county Judge Margaret C. Miller, the defense attorney asked Minko whether he had asked Corbett for permission to search his car. Corbett claimed on appeal to Stevens’ court that the question was relevant in that the failure to even try to find any marijuana in his car could have bolstered his argument that he was not in fact under the influence of the drug. Stevens didn’t bite. Instead, he found the absence of marijuana didn’t prove Corbett’s innocence, especially since physical signs of his intoxication were evident to an experienced trooper. “The lack of contraband in a vehicle reasonably leads only to the inference that the visibly impaired driver must have ingested the marijuana at some moment before the stop,” Stevens wrote. The state court ruling also affirms Corbett’s 72-hour to 6-month prison sentence. A top adviser on marijuana policy to Attorney General Jeff Sessions wants to see doctors make drug testing a routine part of primary care medicine and force some users into treatment against their will, he told The Daily Beast. Dr. Robert DuPont was among a small group of drug policy experts invited to a closed-door meeting with Sessions last month to discuss federal options for dealing with the rapid liberalization of state marijuana laws. California became the sixth state to allow the sale of marijuana for recreational use on Jan. 1. At the Dec. 2017 meeting with Sessions, DuPont was slated to present on “the effect of marijuana on drugged driving,” a topic on which he has proposed some radical ideas. A national model bill he helped write in 2010 called on law enforcement to test anyone stopped for suspicion of driving under the influence for all controlled substances, and arresting them if any trace at all shows up in their system—regardless of the amount. While the bill includes an exemption for drivers who consumed a drug pursuant to a prescription, it would not apply to medicinal marijuana users since doctors are not currently allowed to prescribe pot, only offer a recommendation for its use. The bill’s language makes clear that these people will still face sanction even if they live in a state where medical marijuana is legal. “[The] fact that any person charged with violating this subsection is or was legally entitled to consume alcohol or to use a controlled substance, medication, drug or other impairing substance, shall not constitute a defense against any charge,” it reads. On closer inspection, DuPont’s proposal is part of a plan to expand the use of drug testing technology to root out users, and the threat of prosecution to compel them into treatment where they will be tested even more. Early last year, The Daily Beast conducted a lengthy interview with DuPont as he was shopping around a radical proposal to address America’s festering overdose crisis called the “New Paradigm for Long-Term Recovery.” It would include a massive expansion of drug testing in addiction medicine. Calling his platform “the opposite of harm reduction,” DuPont said the goal of his plan is to promote “long-term results…and greater accountability” in the treatment sector. Among other things he proposed giving doctors the authority to compel suspected substance abusers into treatment against their will. Once in treatment, patients could face up to five years of monitoring, including random drug tests. The FDA approved the company’s first hair follicle test two years later, and today Psychemedics is a multi-million dollar a year business that’s in the process of a profitable expansion into South America. 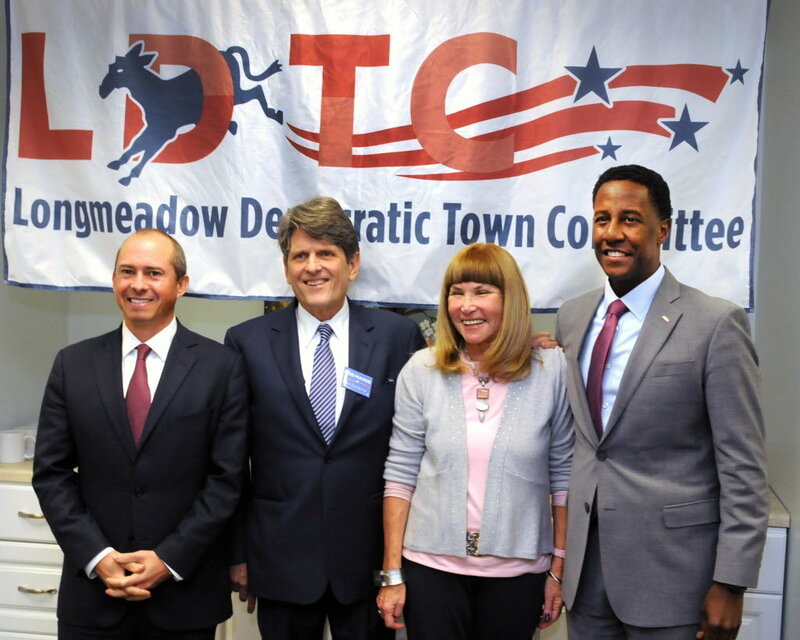 The Longmeadow Democratic Town Committee hosted the three Democratic candidates for Governor Wednesday night. Committeee chair Candy Glazer, second from with the candidates Jay Gonzalez,left, Bob Massie and Setti Warren, right.The event was held at the Greenwood Center. “As opposed to putting them in the criminal justice system, let’s put people in treatment,” Warren said. “What we know is evidence-based research that shows that mandatory minimums do not reduce criminal activity nor does it address the crisis in opioids we have here in the state of Massachusetts,” Warren said. “We should eliminate all mandatory minimum sentences except for murder and let judges do their jobs and take the individual circumstances of every particular case into account in determining the right sentence for that person,” Gonzalez said. “The truth is we have them for some and not for others,” Gonzalez said. Environmentalist and entrepreneur Bob Massie said he opposes mandatory minimum sentences, except “maybe” for the most violent crimes. “Discretion should belong to the judge,” Massie said. Gonzalez said although Massachusetts has one of the lowest incarceration rates in the U.S., rates are still higher than in many countries. “We need to be focused much more on addressing the underlying causes of crime,” Gonzalez said. Massie similarly favors reforming the justice system in ways that lock up fewer people and make it easier for prisoners to rejoin society. “We need to rethink what it is we expect prisons to do — lock people up or move them through a process where they can re-enter society,” Massie said. WAUKESHA, Wis. —An 11-year-old boy lost an arm when his father, who is accused of driving under the influence, crashed into trees early Monday morning. Jeremy Froemming, 38, told an officer he took three different types of pills Sunday afternoon. He crashed into trees near Highway 67 and Highway D in the town of Ottawa at about 1:30 a.m. Both Froemming and his son were trapped inside. The boy was flown by Flight for Life to Children’s Hospital, where he remains, but doctors were unable to save his arm. Court documents show Froemming has three prior OWI offense. He is charged with intoxicated use of a vehicle — great bodily harm and operating a motor vehicle while intoxicated — fourth offense, with a minor child in the vehicle. Police face an increasingly common challenge: how to tell if a driver is high. As states legalize marijuana use, opioid abuse runs rampant, the methamphetamine crisis continues and new synthetic drugs hit the streets, law enforcement authorities say it’s more common than ever to encounter motorists who are under the influence. In response, police are pioneering a new generation of chemical tests designed to detect drugs quickly in drivers’ bodies, eventually during a roadside stop. They’re like breath tests for alcohol, but they use mouth swabs to screen for at least a half dozen other drugs. One west suburban department plans in the coming months to start testing suspect drivers for marijuana, cocaine, amphetamines, methamphetamines and opiates like heroin. 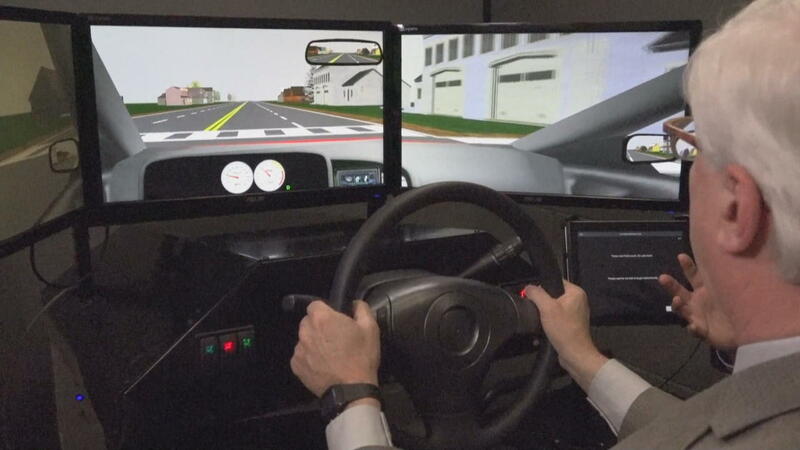 Carol Stream police, who are known for their aggressive enforcement of drunken-driving laws, say they’re expanding their attention to drugs because they see the effects on drivers but aren’t always sure which drug is involved. It’s believed to be the first agency in the state to try the new driver drug tests. Police in California, Colorado, Kansas and Michigan, as well as Australia and many European countries, are already using or testing such devices. But critics, like some marijuana proponents and civil rights advocates, question how well the tests work and whether they’ll be used properly. Defense attorney Don Ramsell, for one, is skeptical. He says judges have yet to certify that the tests are accurate. Ultimately, the debate over whether roadside drug tests can be used to help arrest drivers will probably end up in court. Alcohol has long been the leading mind-altering hazard on the road, involved in about 10,000 driving deaths each year. A lengthy public campaign to reduce drunken driving and increase the use of seat belts and air bags has cut the number of deaths by half since the early 1980s. A variety of devices were invented to test drivers for alcohol, including the Drunkometer, Intoximeter and Breathalyzer. Police began widespread use of portable breath-testing devices in the 1980s. But in 2015, for the first time, the number of drivers involved in fatal crashes nationwide who tested positive for drugs surpassed the number of drivers who had alcohol in their systems, according to a report by the Governors Highway Safety Association. Some states that legalized marijuana use saw marked increases. After Colorado made cannabis legal for medical and recreational use, the number of drivers in fatal crashes who tested positive for marijuana more than doubled since 2013, according to published reports. Those numbers do not prove the drivers involved were impaired, because remnants of marijuana can remain in the body for days or weeks after use. Only some of the drivers involved in crashes were tested, and the amount of drugs present might not have been enough to play a role. But traffic officers say they increasingly see people on the road who appear to be on something — in many cases prescription drugs, which are also illegal if they impair driving. Looking at fatal crashes in Illinois, it appears more people are driving with drugs in their systems. While the percentage of crashes involving alcohol dropped 30 percent from 2007 through last year, the number of drivers who tested positive for marijuana tripled in that same time, to almost 15 percent, according to Illinois Department of Transportation figures. As a result, companies like Draeger, headquartered in Germany, and Alere, owned by north suburban Abbott Laboratories, are marketing testing devices to law enforcement. The companies claim a high degree of accuracy. A 2015 study in the Journal of Analytical Toxicology found the Draeger DrugTest 5000 accurately predicted the presence of a drug 93 percent of the time. But other studies have found varying degrees of success, depending on the device. In Michigan last month, state police started a one-year pilot program of saliva roadside testing in five counties. State lawmakers passed a law authorizing the program, with a fine for drivers who refuse the test, Michigan State Police First Lt. Jim Flegel said. Police will compare the test results from the Alere DDS2 device with a second swab that will be tested at an independent laboratory, and with a blood draw, which if refused can lead to a license suspension. The program is off to a promising start, and if testing proves accurate after one year, it can be continued and expanded to other counties, and hopefully ultimately introduced as evidence in court, Flegel said. Under current Illinois law, police may seek a blood, urine or breath sample if they suspect a driver is impaired by a controlled substance, and a driver can face a one-year license suspension for refusing. But such tests are cumbersome, expensive and time-consuming, often requiring a trip to the hospital, and often take an hour or two, by which time the body may have eliminated the drug. In contrast, the new type of test is designed to be easy, quick and portable. And rather than simply giving a positive or negative result, as many current blood tests do, the device that Carol Stream police plan to test, called P.I.A.2 , gives measurements for the amount of drugs present. That’s important, because while Illinois used to define impairment as having any amount of cannabis or other controlled substance in the body, last year lawmakers raised that minimum threshold to 5 nanograms per milliliter in the blood, and 10 ng/mL in other bodily fluids. But the Illinois State Police crime laboratory is not certified to give such precise measurements, and local police agencies say it can take months to process a request. Therefore, police sometimes send samples to private labs, which can be quicker but also costlier. That’s where the new field test comes in. For drivers who submit to a blood draw, Carol Stream police plan to ask them also to volunteer for the mouth swab, not for use in court, but simply to compare its accuracy to the lab test. The department plans to conduct at least 100 comparisons over the next year, beginning around March. Testing devices can cost $3,000 to $6,000, but the manufacturer of the unit in question, a German company called Protzek, will provide it for free to the village. Officials claim its accuracy is comparable to state-of-the-art laboratory techniques. Len Jonker, president of Judicial Testing Systems, the distributor for Protzek here, said he is in talks about supplying the device to other law enforcement agencies in Illinois as well. The tests have been challenged in some state courts but have been upheld as a preliminary step to establish probable cause to make an arrest, according to the National District Attorneys Association. Still, the tests cannot yet be used as conclusive evidence in court, and still require a blood draw for confirmation, the prosecutors reported. Dan Linn, executive director of the marijuana advocacy group Illinois NORML, said he welcomes the test for accuracy. Illinois law has zero tolerance for driving on controlled substances other than marijuana, meaning any amount is enough to convict someone of DUI. Yet unlike alcohol, which has been shown to cause impairment at a blood alcohol level of 0.08, no numeric levels have been established to show impairment from various drugs, because their effects vary so widely from person to person, depending in part on the user’s tolerance. That’s why Linn believes it’s better to have trained police officers try to assess from direct observations whether a driver is impaired. Police and prosecutors agree, and for that reason call for more training of officers as drug recognition experts, or DREs. While the standard field sobriety test — where drivers are asked to walk in a straight line and turn around, stand on one leg and close their eyes and touch their nose — was designed primarily to detect the influence of alcohol, the DRE test uses more subtle signs to try to detect drugs. Dilated or constricted pupils, incomplete or repetitive speech, tremors in the eyelids or hands, odors, high pulse or body temperature, nervousness or lack of inhibition may all be considered signs of impairment from various drugs. Processing a DUI arrest is time-consuming, and the new law that set the cannabis intoxication standard on driving under the influence states that police must take a blood sample within two hours. Police say that’s often impractical or impossible, especially in rural areas far from a hospital. That’s why interest is so high in finding a quick technological fix. Police are free to try out drug-detecting devices, but to get them authorized for use as evidence, they typically have to be assessed by the Illinois Law Enforcement Training and Standards Board, then be approved as administrative rules changes by the Joint Commission on Administrative Rules, state police Master Sgt. Matthew Boerwinkle said. That process could take months or years. In addition, to be accepted in court, any new type of scientific evidence in Illinois generally must pass a Frye test, a judicial hearing to establish whether the technique is generally accepted as reliable by the scientific community in that field. But Ramsell, the DUI attorney, cautions that many types of prior forensics evidence, from shoe prints to bite marks to signs of arson, have been undermined, and any new test deserves rigorous research by scientists, not police. He also accused police of wanting to raise more money in court fines. Last year, Carol Stream, which prosecutes many DUI cases itself, reported collecting $261,000 in court fines from DUI cases, plus another $300,000 in towing fees and $363,000 in circuit court fines for a variety of offenses. While suburban police do not have to fight the amount of violent crime seen in Chicago, Cluever said his officers prioritize aggressive traffic stops to save lives and prevent other crimes, not to raise revenue. Initially, the tests will be done at the police station, but eventually, officers hope to use them on the roadside. WESTPORT — Police arrested an Acushnet man on charges of driving under the influence of marijuana after a motor vehicle stop Monday night in Westport. The arresting Westport officer, Jarrod Levesque, is a certified Drug Recognition Expert trained to focus on drug-related impairments, said Westport police Detective Jeff Majewski. “DREs are becoming more valuable in recent months since marijuana legalization has increased recreational drug use, which has carried over to an increase locally of drugged driving,” Majewski said in prepared remarks. Majewski said Raymond Morin, 35, of 16 Helen St. in Acushnet, was charged with operating under the influence of drugs and issued a $500 dollar violation for having an open container of marijuana inside a vehicle. Around 7:35 p.m. on Monday, Majewski said Levesque observed a vehicle traveling west on State Road with its left directional on for several hundred feet passing four possible turn offs or breaks in the median. The vehicle was traveling approximately 28 miles per hour in a posted 55-mile-per-hour zone, Majewski said. At the intersection of Gifford Road and State Road, Majewski said the operator turned south onto Gifford Road. Just as he passed the driveway to CVS, Morin then allegedly stopped his vehicle abruptly in the travel lane blocking the road. Levesque approached the driver, who when he lowered the window “a cloud of marijuana smoke plumed from the vehicle.” Majewski said the officer also saw marijuana crumbs and residue in the driver’s lap. Morin allegedly had difficulty producing his Registry of Motor Vehicle documents and was instructed to exit the vehicle to perform roadside assessment tests. Morin told the officer that he had smoked a marijuana blunt. He was arrested when he failed the sobriety tests, Majewski said. Inside Morin’s vehicle, the police located a small quantity of marijuana in a Tupperware container, Majewski said. Majewski said Levesque completed an in-depth evaluation of Morin. Majewski said indicators of drug impairment include the presence of body tremors, eyelid tremors, poor perception of time and distance, dilated pupils, elevated blood pressure, elevated pulse and poor completion of hand eye coordination assessments. 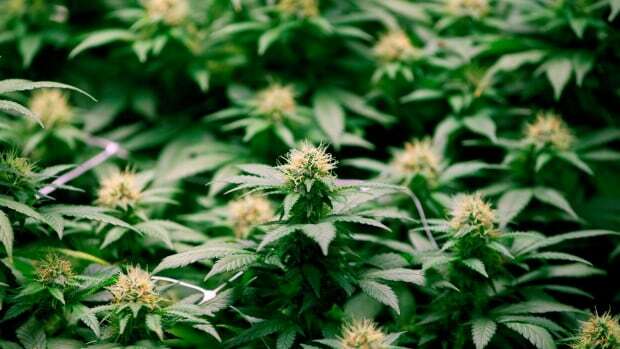 “I’ll be watching to see how government maintains control over things like price, advertising and marketing, the density of outlets and other factors that really are critical for really trying to encourage moderate use,” Hyshka told CBC’s Radio Active Wednesday. She said Alberta’s cannabis price point can’t be so low people are encouraged to use it, nor can it be so high that users turn to the black market for cheaper prices. 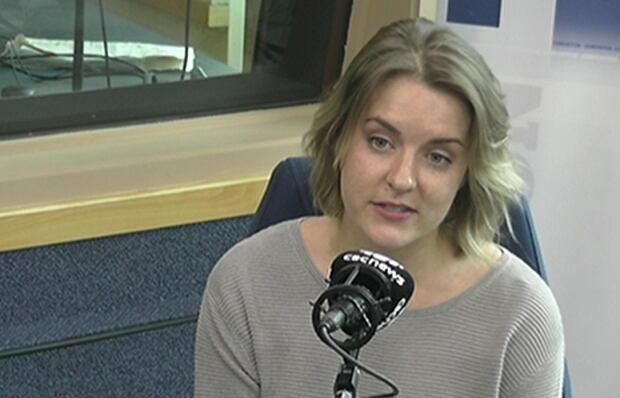 Hyshka said she’ll also be watching how many stores selling cannabis will be allowed in a particular area. She said the amount of liquor stores on every corner, some of which are open until 2 a.m., is a mistake the government shouldn’t repeat. “Although cannabis as a substance is less harmful than alcohol, we’d be wanting to see some new restrictions put in place that really set the standard for how we regulate psychoactive substances,” she said. “[Hopefully, we] don’t go out of the way to stimulate a new market or stimulate a new demand for what is not a harmless substance,” she said. Hyshka said that though there are documented benefits of cannabis, such as for those in chronic pain, that doesn’t mean it isn’t harmful — or, in the case of impaired driving, dangerous. “It’s important to remember that cannabis is liberally available right now through the illegal market and many people are using it and some people are driving while impaired,” she said. But Hyshka and the police chiefs place importance on a common, primary goal: discouraging those who don’t use cannabis from starting.